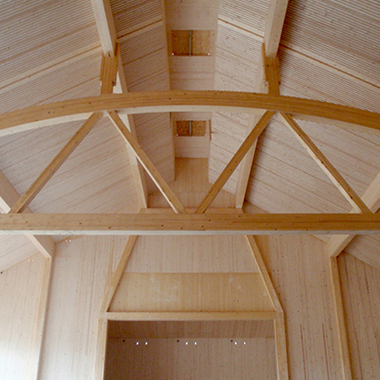 Glued-Laminated Timber (Glulam) is an engineered wood product made from timber boards that have been stacked and glued together to form linear components such as posts and beams of varying cross-section. Steel, like any structural material, has its technical advantages. In the case of steel it is its strength-to-size ratio. 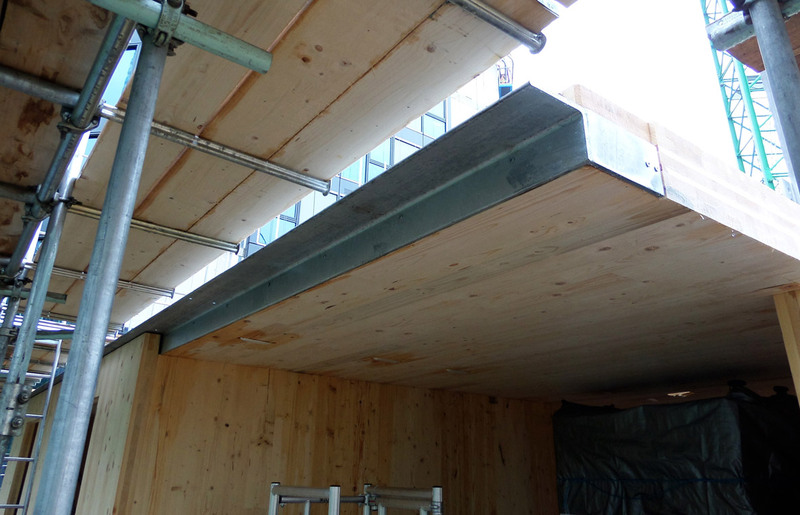 So whilst we try to use laminated timber components wherever possible it is often the case that the targeted use of smaller steel components provides for a simpler structural design solution or a better overall building design solution. 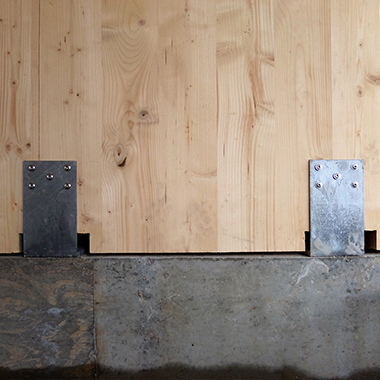 Our building system often includes made-to-order laminated timber stair flights and landings. 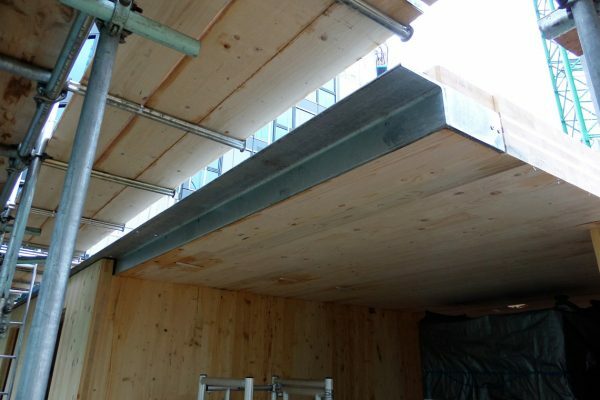 Our pre-assembled single run stair flights comprise triangular-shaped glulam treads adhesive-bonded to a CLT base panel with or without support angles. 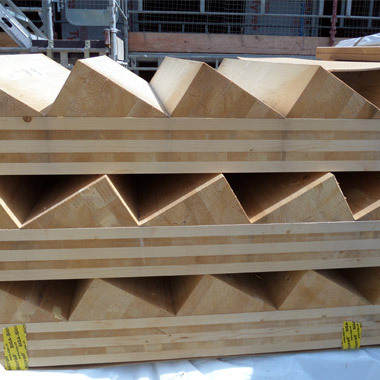 Our landings are typically made-to-measure CLT panels. Lifting points are incorporated in the factory making on-site installation safer, easier and quicker.